Lawrence Q. Alexander II, the Ivy Key's Director of College Admissions, has spent the last decade in college access counseling. 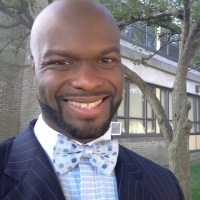 He currently serves as the Director of College Counseling at the Ross School in East Hampton, NY, and prior to that served for four years with College Bound Initiative in New York City, at both the Young Womenâ€™s Leadership School of Astoria and the Business of Sports School. At TYWLSA, he helped 78 seniors gain acceptance to top colleges (including Georgetown, Williams, Amherst, and NYU) and access over $2 million total in financial aid and scholarships.